As you wear your crystal they are working for you in their purpose. They often need to be cleansed of energy they absorb from your body or the environment to keep the harmony of the frequencies they emit. One of the simplest ways to cleanse your crystal is to smudge with sage smoke. A good sage to use is white sage. Burn the sage and hold your crystal above it allowing the smoke to envelope around your crystal. Sage is a natural and spiritual purifier of negative or unwanted energy. The clearer the energy of your crystal the more powerful it is. 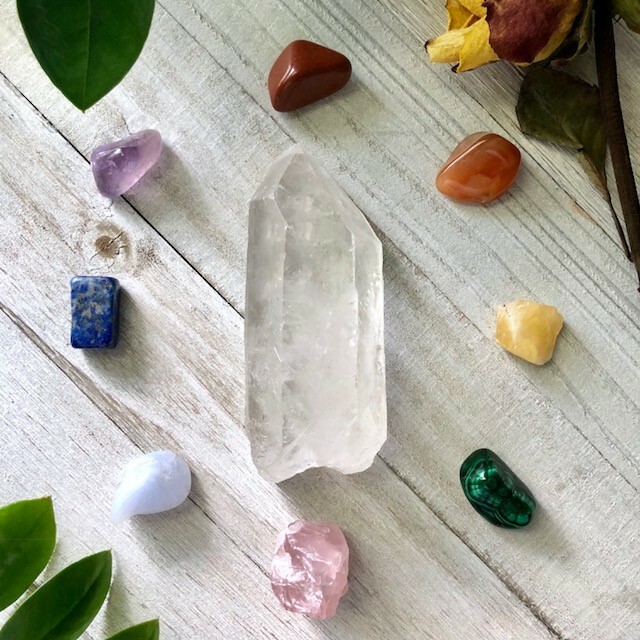 Clearing your crystal is similar to cleansing except it's using the celestial power of the sun or the moon to be absorbed into your crystal as it once did in its natural habitat. You can sit your crystal outside or in a well lit window by either the sun or the moon. Place your crystals in a well lit window during a full moon. After your have cleansed and cleared your crystal, it is important to program your crystal. This is a form of directing the energy of the crystal to your specific needs according to the crystals properties. Be sure that you choose a crystal that matches the energy of your intentions. Programming your crystal magnifies its intent through your own. To do this, hold your crystal in your hand and focus your mind on your intentions. Allow yourself to feel the energy of your crystal and focus on becoming attuned with its energy. Clearly and firmly state your intentions out loud. Ask that its energy be exchanged with yours. You can intuitively feel when the programming is complete. Your crystal is then programmed and ready for healing!